Share the post "High-Tech SCATT MX-02 Training System for Dry Fire and Live Fire"
Birchwood Casey has released an innovative Solid-Film Lubricant Pen that may be useful for some gun applications where conventional oils and greases are not appropriate. 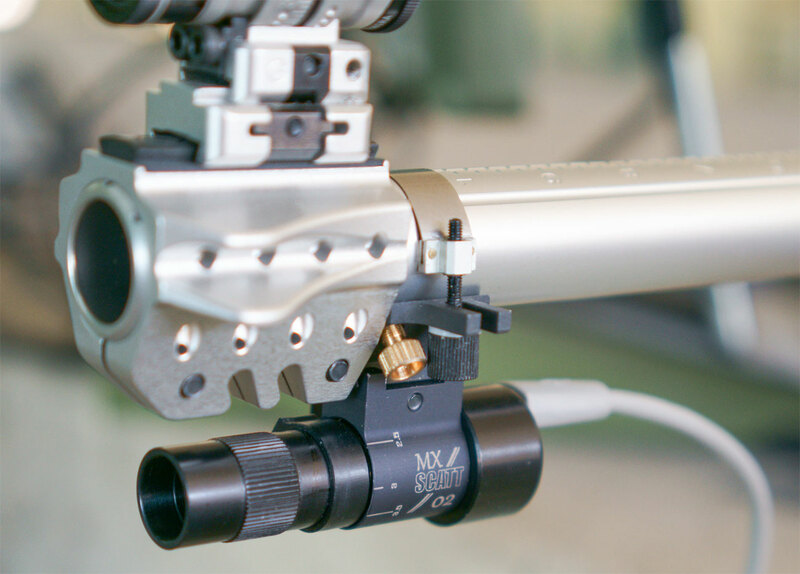 The Pen dispenses MLP Solid Film Lubricant, a semi-permanent, lacquer-like coating containing molybdenum disulfide (MoS 2) and corrosion-inhibiting elements. Using the Pen, a low-friction lubricant coating can easily be applied to various friction points to reduce wear. 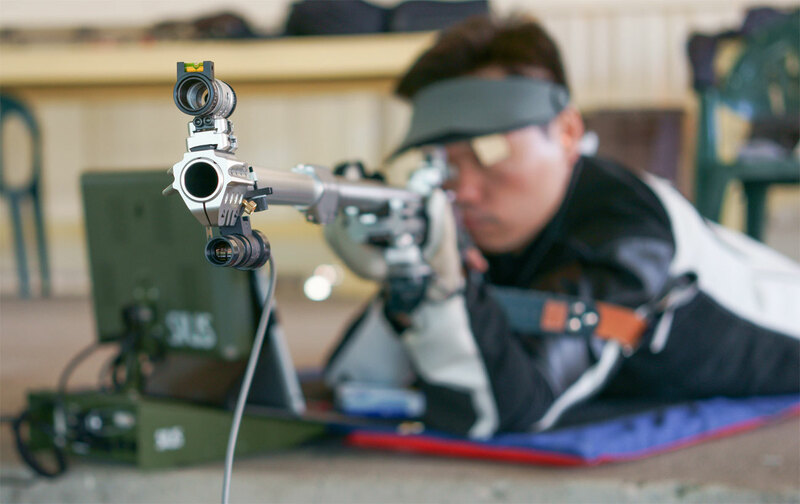 Common application points on AR-style rifles include: charging handle, take-down pins, inside of bolt carrier, and mag well. 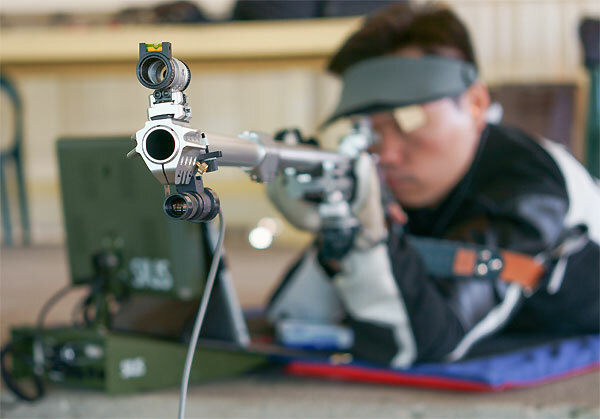 We can also see a use for this product on buttstock adjusting points, bipod joints/hinges, sling swivels — wherever a non-greasy lubricant can aid function. NOTE: We do not recommend this product for lubrication of bolt lugs on bolt-action rifles — we still think a high-quality grease-type lubricant is best for bolt-lug applications and other high-load points. 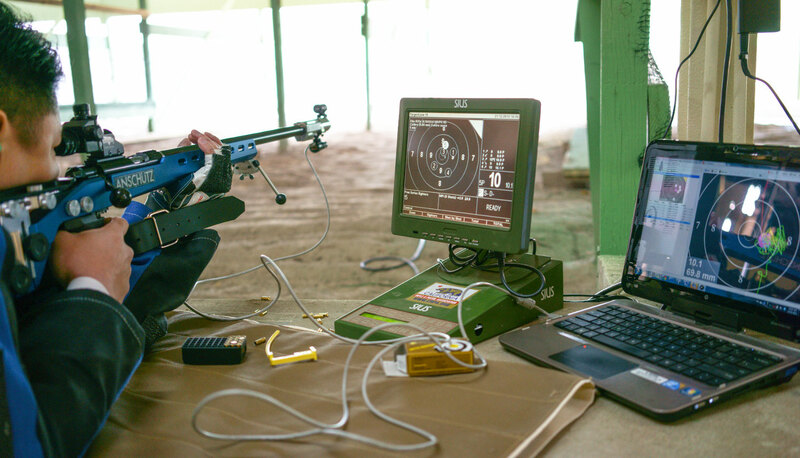 This Video shows where to apply Dry Film Lubricant on an AR-type rifle. Birchwood Casey’s MLP Solid Lubricant Pen meets Mil-Spec requirements. The formula creates a tough, low-friction coating that helps prevent corrosion, galling, and seizing. IMPORTANT: after application, you should allow the dry-film coating to DRY for at least 6 hours before use. 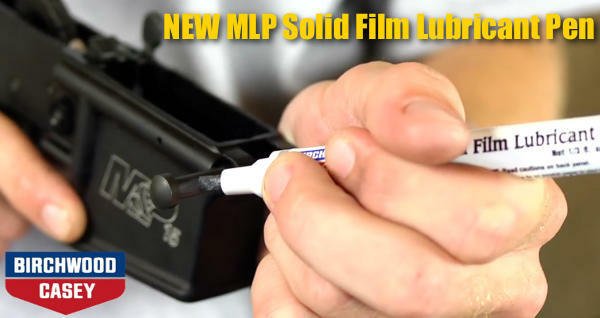 Share the post "New MLP Solid Film Lubricant in Pen Applicator"